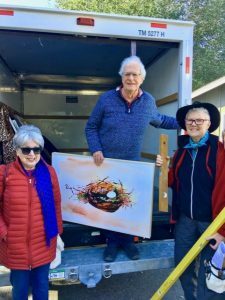 A remodeled East Recreation Center will reopen on Wednesday, May 1, capping a long process that began with a rotting deck and ended up in a complete overhaul. The result will be “a top-notch facility,” OVA Vice President Tom Kendrick told a March 19 board meeting where the date was announced. pool and spa – and a new deck built of material that won’t rot. A ribbon cutting at 3:30 p.m. on May 1 will see the doors thrown open for all to see. The pool and spa will open three weeks later, after new equipment converting the pool to saltwater has time to adjust. 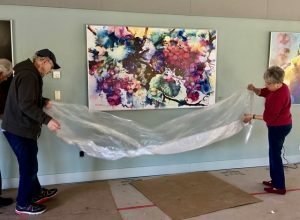 David Dearden, vice chair of the Building Construction Committee, and Linda Begleman of the Oakmont Art Association use plastic sheeting to protect paintings upon completion of the hanging of East Rec art. 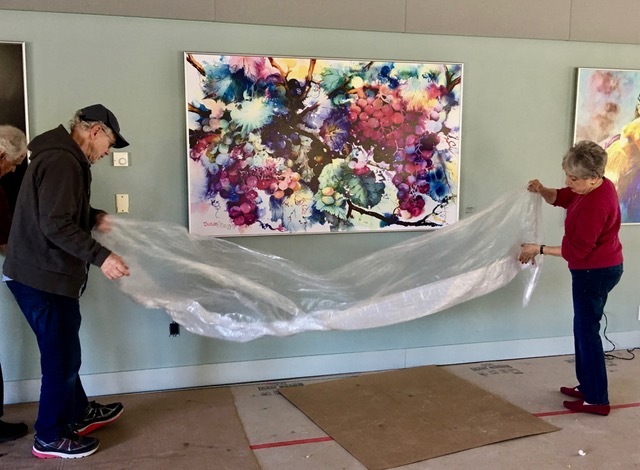 New artwork was installed during March. 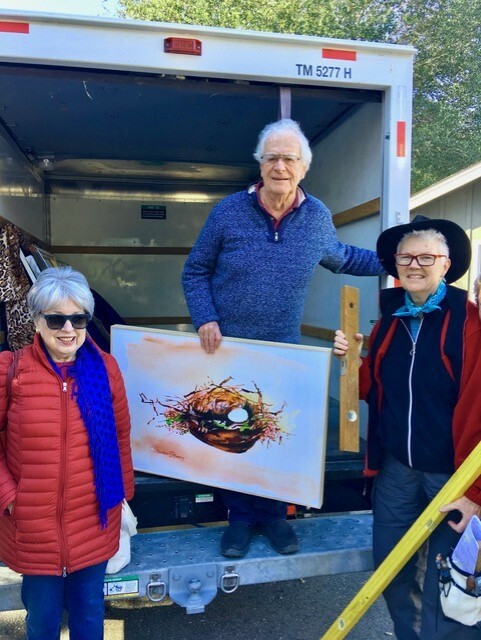 Sixteen paintings on the walls were donated by local artists. Art in the raised ceiling at the center of the building was purchased complying with a city requirement that renovations and new buildings include public art. 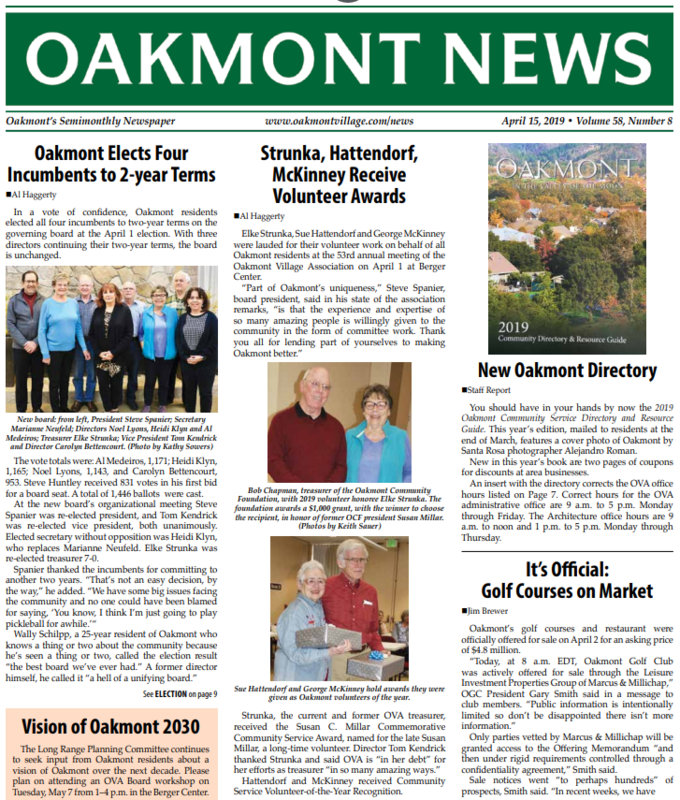 Anita Roraus, OVA events coordinator, said she would be contacting groups starting in mid-April letting them know when they can return from temporary space elsewhere in Oakmont.